Happy Friday, friends. I'm getting bad about actually posting on the blog because I'm feeling like Instagram in the hub for all people to gather and see information. The good, the bad, the ugly... what are your thoughts? Keep the blog maintained or just focus on one platform? In all realness though, a platform that's kind of sucking for even showing content created to followers. I think I've even taken a step back from that and posted less because I would rather have quality over quantity. You feel me? 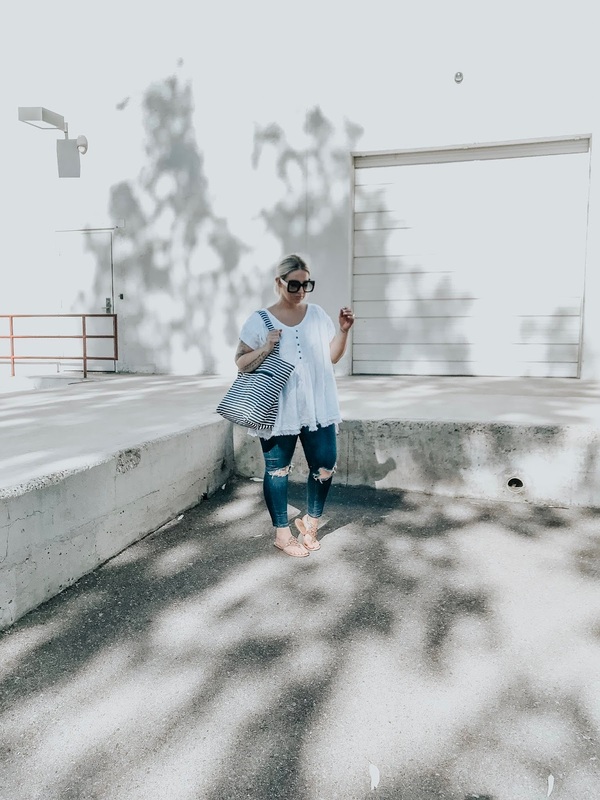 This outfit was one I snagged last week and wanted to throw up here for you - the perfect casual ensemble for doing mom life or running errands by yourself. 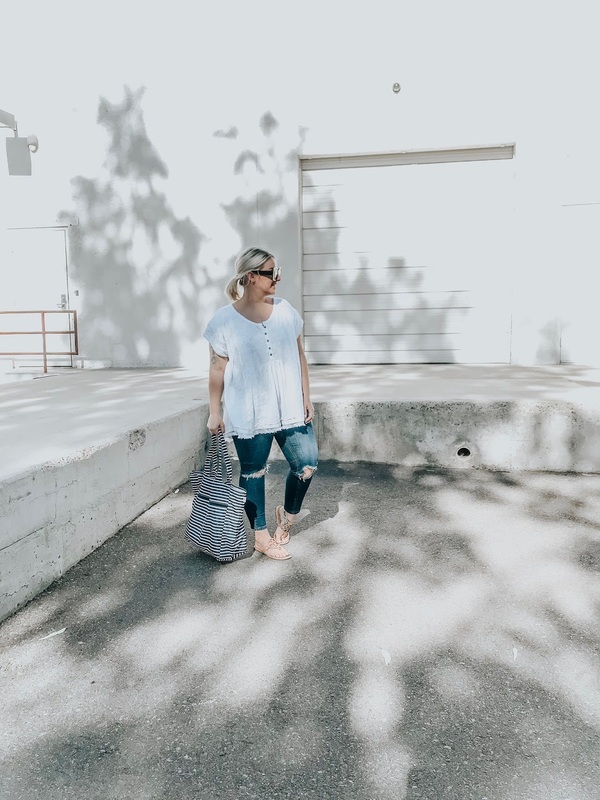 I have this top in two colors now and adore it so I'm considering getting a few more. Size down on it, if you do snag it! And true life, my cousin snagged a pair of Tory Burch Millers recently and I just fell in love. I ended up buying 2 pairs from Neiman Marcus. They're my go-to for everything now. Everything! What are your weekend plans? We have a graduation party, baptism for my nephews, and doing the backsplash in our kitchen finally. It packed but I'm excited!